Denis Veronneau was the first in this line of my ancestry to set foot in North America. He was born to Louis Veronneau and Perrine Bary in Bournezeau, France around 1643 and committed to emigrate to New France as a young contract worker (engagé) in 1661 (his actual arrival date in Quebec has not yet been found). Upon his arrival, he lived in Trois-Rivieres, about half way between Montreal and Quebec City before eventually moving to Boucherville (near Montreal) around 1668. Married twice, he had at least nine children, and lived into his eighties. 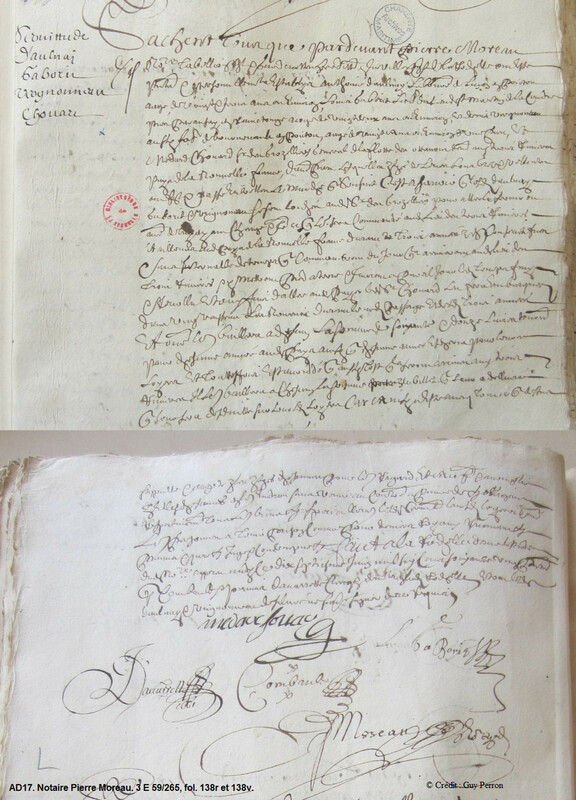 1661: Denis signs a contract on June 17 for employment in New France. 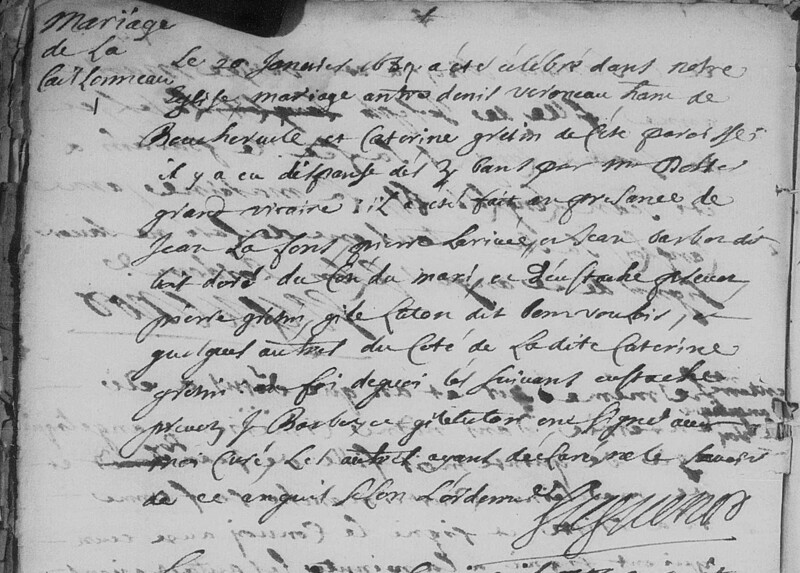 1666: Denis Veronneau (spelled in this census record as Verignonneau), age 25, living in Trois-Rivieres. 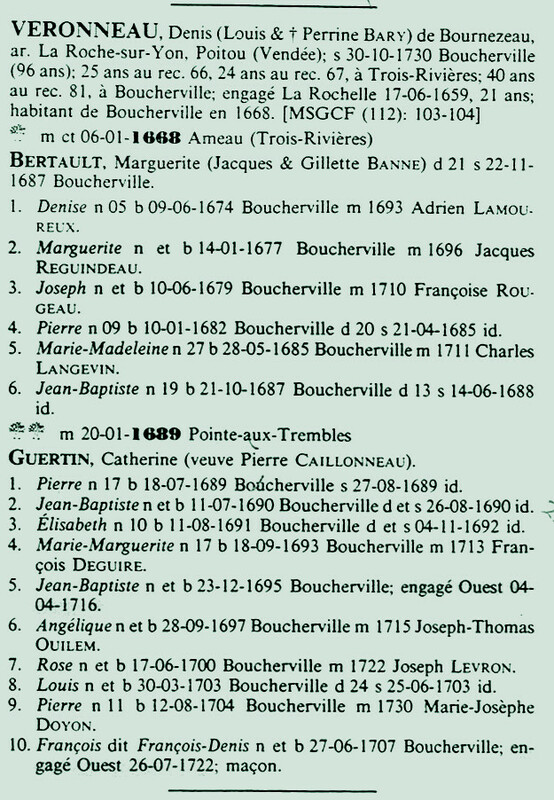 1689: Denis Veronneau's second marriage to Catherine Guertin, January 20, in Pointe-aux-Trembles. 1730: Denis Veronneau dies in Boucherville at the age of "approximately" 82.